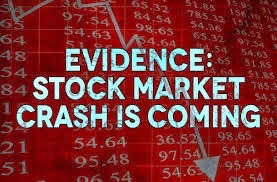 Financial gurus, trends forecasters, stock market experts, hedge fund managers and more are all yelling at the top of their lungs, from rooftops, figuratively, with warnings of the devastating and imminent stock market crash and economic collapse, that will make the 1929 crash seem like a walk in the park. Top names in the financial industry like Celente, Faber, Schiff, Spitznagel and Buffet are just the tip of the iceberg of the latest examples of these dire warnings. …So as the decline in their economies accelerates, you are going to see the civil unrest intensify.